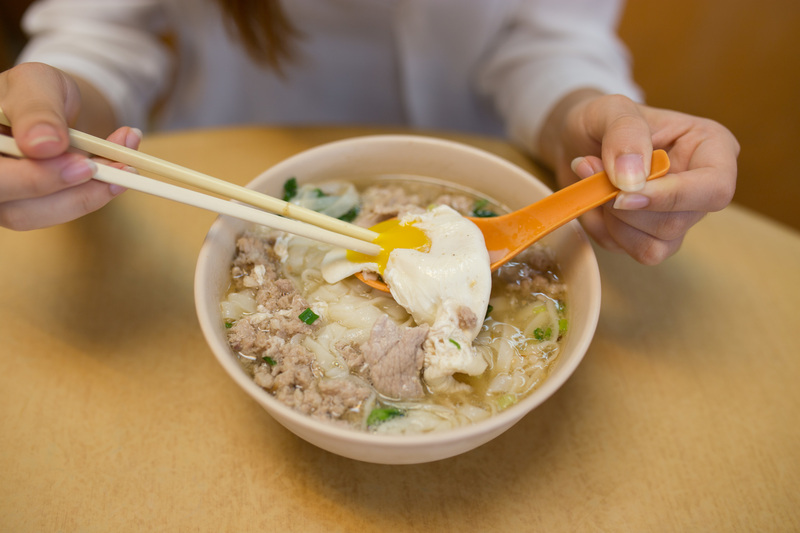 Nothing does a better job at warming your belly than a piping-hot bowl of pork noodles. 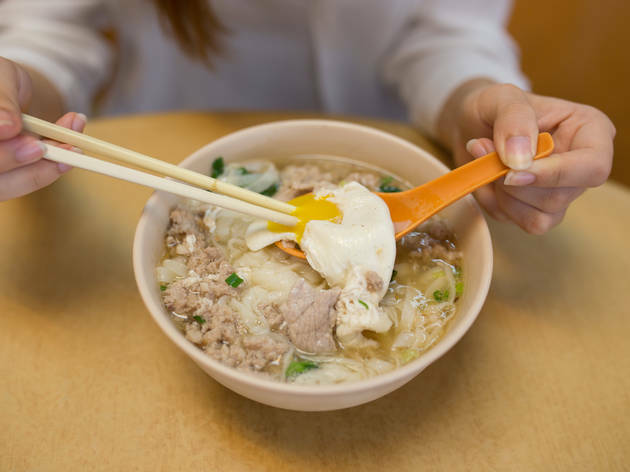 It’s simple but versatile – have it for breakfast or lunch, with your choice of noodle, with just pork or with extra innards and bits of lard; it’s your call. 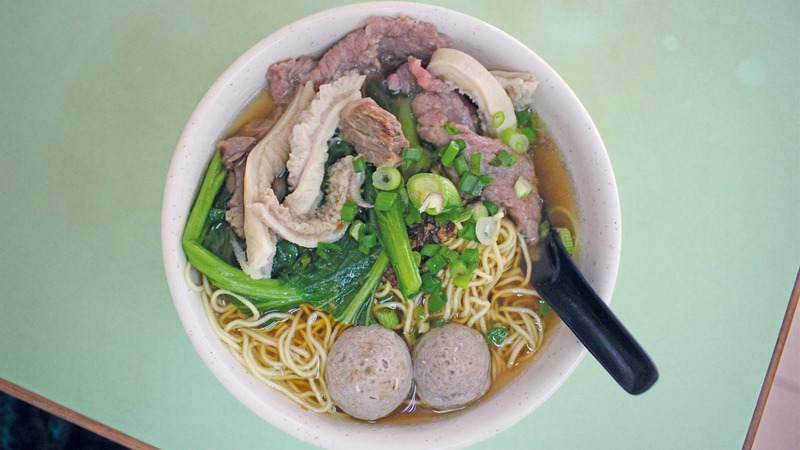 To help get you started, here’s a list of the best pork noodles in KL. The choices here are simple: big or small, egg optional. Either way, you’re in for a treat: the cloudy broth has layers of savoury goodness, complemented by the fragrant sweetness of shallots. 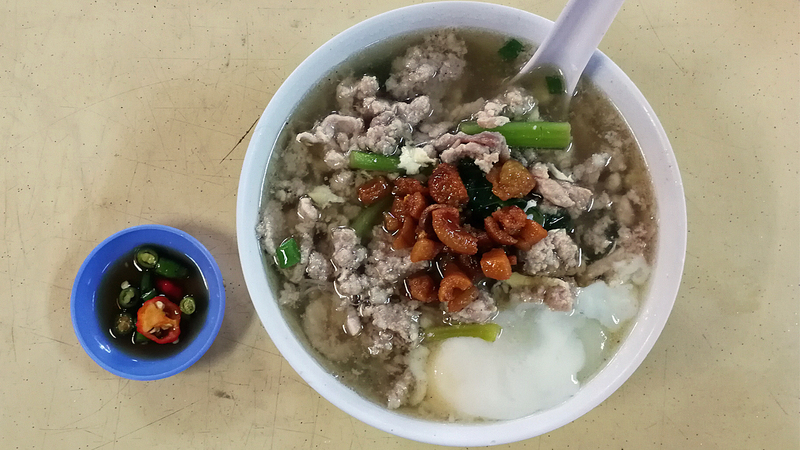 While the size of the bowl isn’t as large as others on this list, the abundant mix of pork pieces, fried pork lard, liver, intestine and tender clumps of minced meat and choy sum more than makes up for its relatively smaller serving. Diners have been known to wait for more than an hour while the cook prepares each bowl individually; but if you’ve got good company to while the time away, don’t miss out on this Subang food gem. 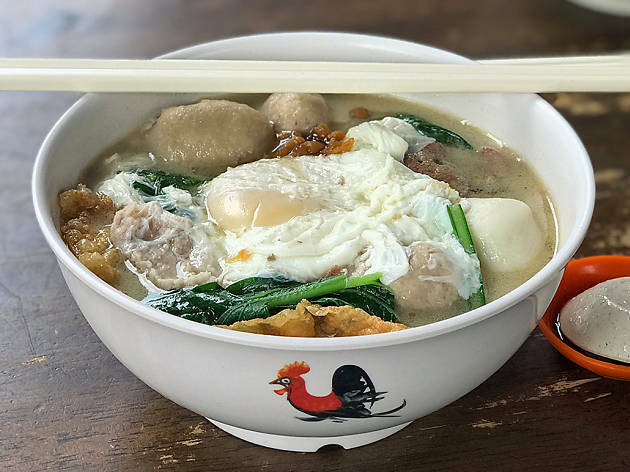 Mui Chea’s pork noodles have been around for years in Jalan Batai, well before Plaza Batai became the posh hangout it is today. 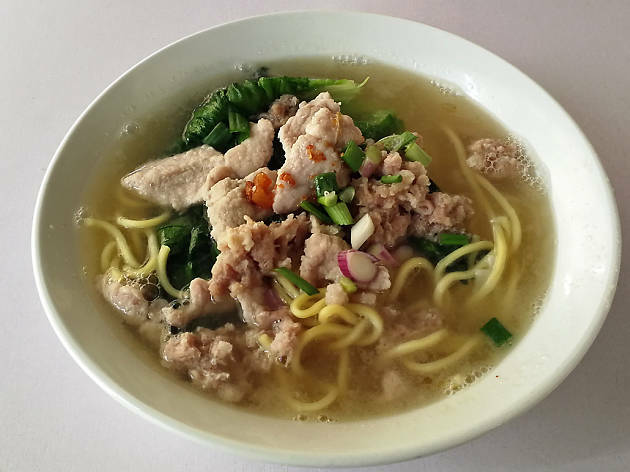 Found within the corner coffeeshop of Restoran Shangri-La, Mui Chea pork noodles are as good now as they were back then; the soup is rich and savoury, and the medium serving size is perfect for a quick lunch. 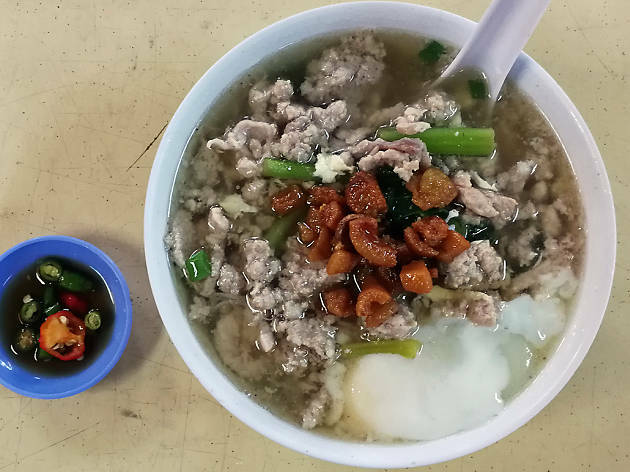 You can opt for the regular bowl of pork noodles, which has minced pork and pork balls (RM8.50), but we say go for the special bowl (RM13), which has a poached egg, pork slices, minced pork, pork intestines, pork kidney, pork meat balls, bean curd skin, stuffed pork balls and fish balls all packed into one bowl. Pork noodle fans in KL should already know Peter’s Pork Noodles by now, but for the uninitiated this humble stall at Money’s Food Court in Brickfields is manned by Peter Tay who’s been serving pork noodles at this spot for nearly four decades; his son heads their only off-shoot stall at Restoran One Sentral along Jalan Tun Sambanthan 4. 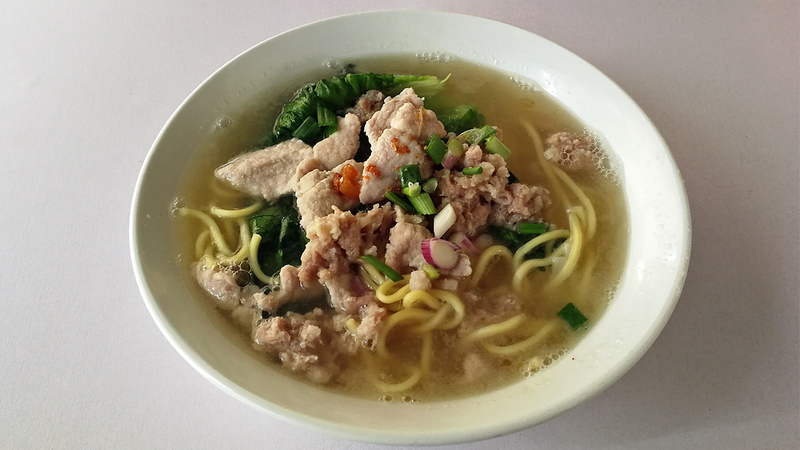 The noodles here come packed with ingredients – both minced and slices of pork along with heaps of innards and pork lard. 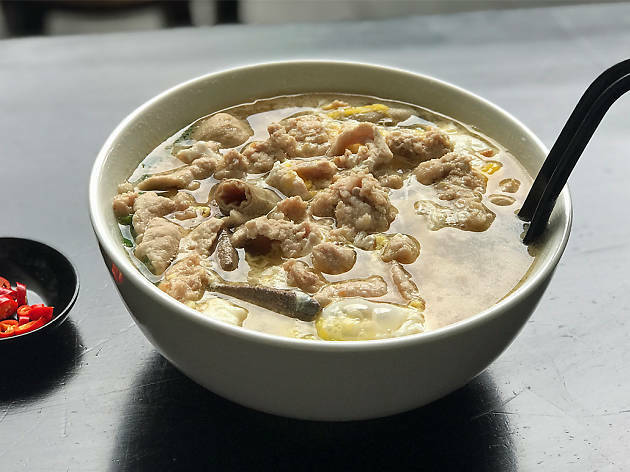 The broth is laced with the gaminess that’s telling of a good bowl of pork noodles while the sweet-salty soup is just the right balance. Go ahead and top off your noodles with a poached egg for added creaminess. Regular, from RM6.50; with egg, from RM7. This popular nameless stall has been operating from the back of a house in PJ Old Town for the past decade. Look for a 99 Speedmart convenience store, head to the house on its right and walk towards the back via a small open gate; there you’ll see a husband-and-wife team manning stoves and doling out bowls of pork noodles. What sets the noodles here apart from the rest is the broth that’s a mix of pork and fish stock; think meaty but clean flavours. Each order comes in generous portions of noodles, gem lettuce, chunky slices of minced and sliced pork, and is finished off with a dash of pork lard oil. You can also add more ingredients such as bitter gourd, tomatoes and more, but we suggest going for their handmade sui kow – thick pieces of dumplings stuffed with turnip, prawn mince, pork, carrots and chives. 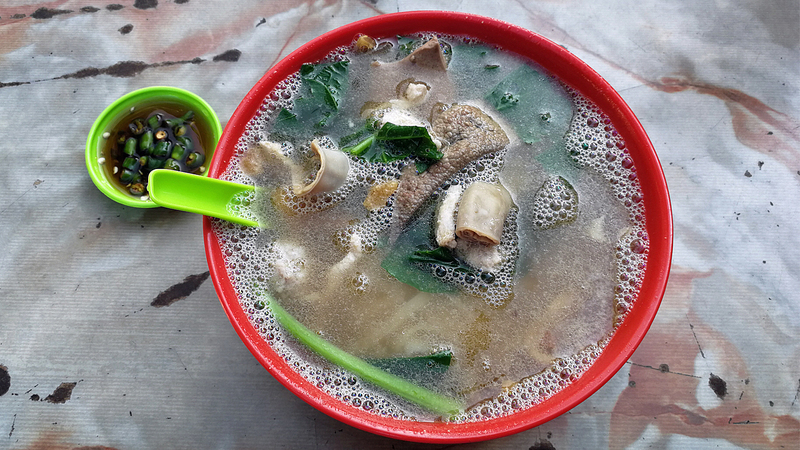 Pork noodles, RM6.50; sui kow, RM1.80 per piece. Although this long-standing kopitiam is more popular for its pork ball noodles (sam kan zhong) and egg tarts from Tai Zi Ta, the pork noodles are good too. Although the dish lacks slightly in the gaminess we’re used to associating with pork noodles, it makes up with a heaping portion of noodles and its clean tasting broth. Your regular ingredients are present – choy sum, minced and sliced pork, liver and intestines; but what helps elevate this dish is the deep-fried pork lard sprinkled on top. 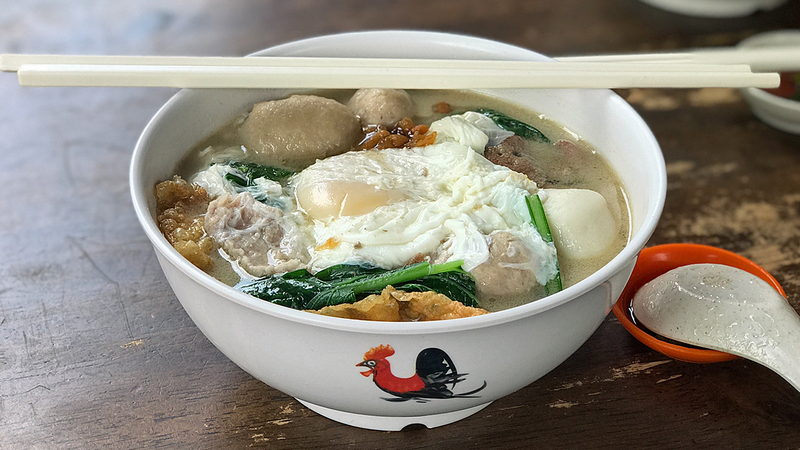 Typically tasteless or bitter, the lard usually serves to add texture to your bowl of noodles; but at Win Heng Seng, you get thick chunks of salty lard that just bring the dish to the next level. 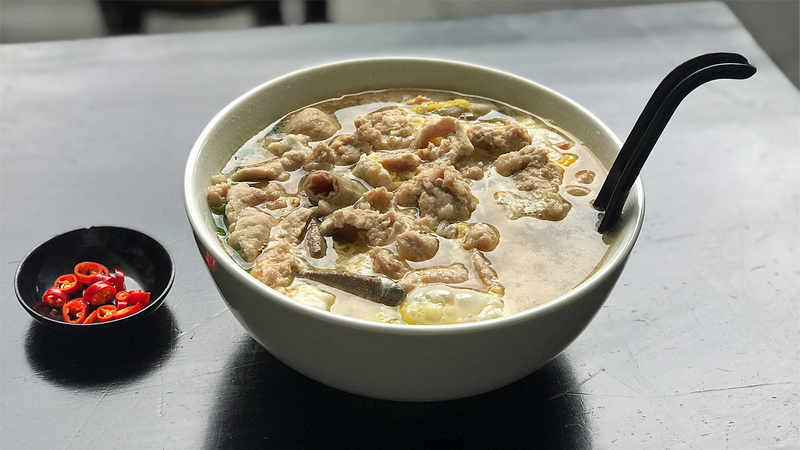 The pork noodles here come in generous portions – even a ‘small’-sized bowl of pork noodles comes packed to the brim with an egg, minced meat, pork balls, sliced pork, liver and intestines swimming in a pork soup base that leans on the sweet side. 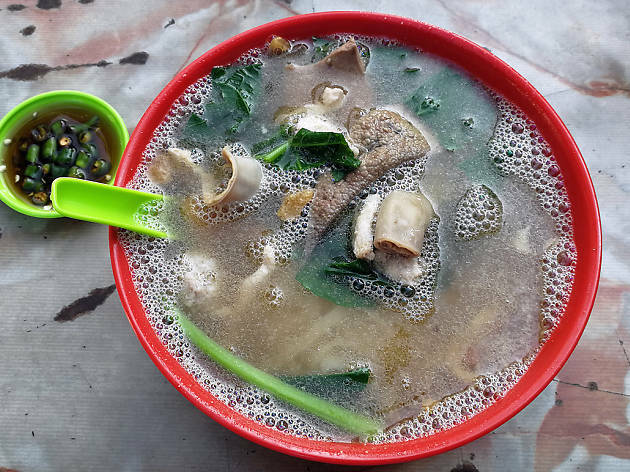 A big part of Mama Love’s appeal is its price point – at RM8.20 for a bowl that has everything thrown in, it’s a bargain by today’s city standards. The only catch is the wait: it’s not unusual to wait 20 minutes for your bowl to arrive, and longer still if it’s during peak hours. Pro tip: ask for a helping of fried pork lard – it doesn’t come standard with every order, but they’ll give it to you when asked. 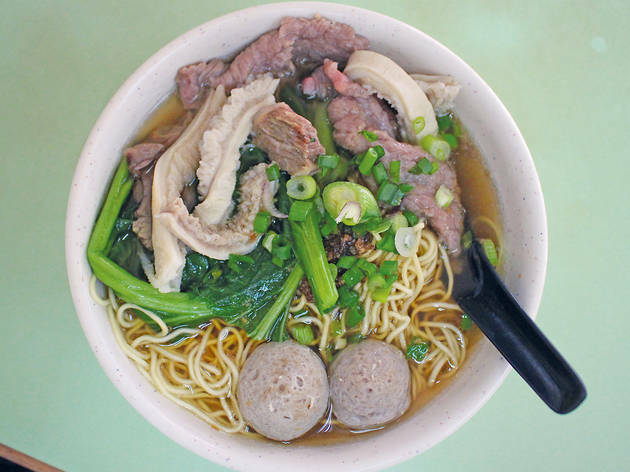 From Soong Kee's meaty and firm beef balls swimming in flavourful soup to Ngau Kee's tender beef tripe, tendon and stomach, we've rounded up a list of the best beef noodles in KL. We're sure you won't have any beef with our list, but if you do, let us know where your favourite is in the comments.